Enterprise level booking software can be found in use by many different organisations ranging from hotels, large venues and holiday providers to more specific usages like doctors surgeries, dentists and hospitals. There are many more examples and each have a need for a system that is reliable, can support multiple users and handle large amounts of data. Spiderscope’s enterprise booking software is perfectly suited to meet all of these requirements. The software is designed to handle large volumes of data alongside a large number of concurrent users; all through the web browser – meaning no additional software installation or ongoing maintenance is required on workstations. 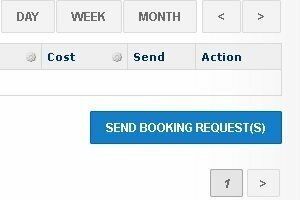 It’s likely that your business will have special requirements for a booking system that are unique to you. We can accommodate these requirements easily. Our booking software is designed in a modular nature, which means that it can be customised to suit your exact requirements. No two businesses are the same, so it’s important that our software can be configured to your specific needs. The system is designed to accommodate all users with simple, easy to use interfaces and support pop ups to facilitate and streamline data entry. This presents help messages in unobtrusive ways and ensures accuracy of the data being added. Configure alert and email notifications to suit your needs. These options allow you to alert customers or staff to any information you desire. This could include a simple email to let the customer know not to forget about their booking, or an email to the manager to see how many bookings were made the previous day. Our software allows quick, easy and automatic entering of address information. Simply enter the postcode and the full address will be returned. This ensures that addresses are always correct and accurate, whilst reducing time taken to manually enter this information. Our software can pre-populate and limit options on fields to increase data entry speed and ensure validation is kept correct. These options are configured based on your personal requirements, but when correctly set up will save you hours on data entry. The modular nature of our booking software ensures that it can be extended to include a wide range of additional and bespoke features without needing a complete redesign or rebuild. If there are features that you require which aren’t in the system, we can build these in quickly and easily, providing a solution that meets your requirements exactly. Our software is proven and works, with some of our clients taking over 70,000 bookings a year. The multiuser environment and high work load capacity ensures it is reliable and will benefit your business.